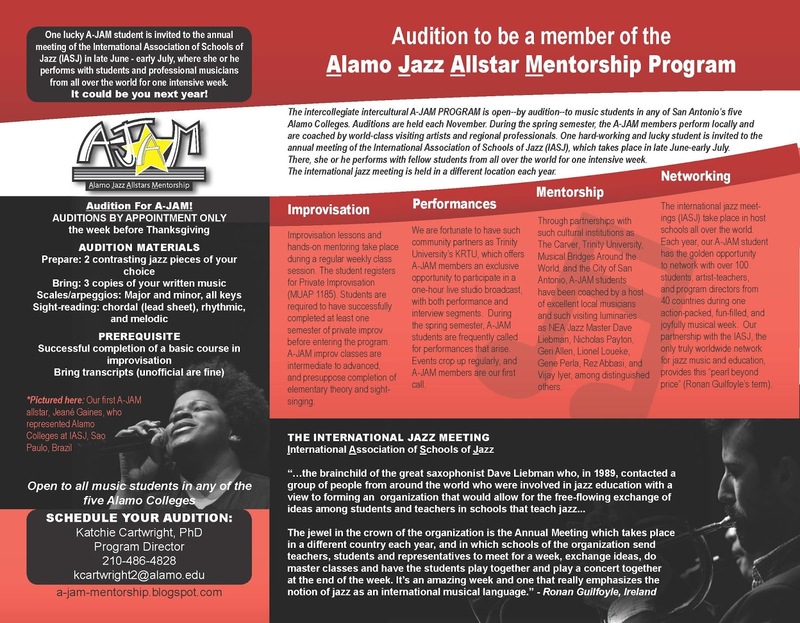 Auditions for the A-JAM program are held annually--the week before Thanksgiving--by appointment only. To join A-JAM in the spring term, you must have successfully completed a basic course in improvisation, which is offered in the fall semester. 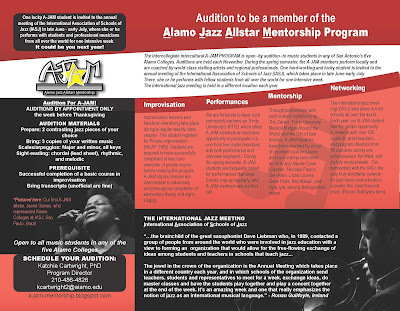 For further information on A-JAM auditions and to schedule your audition appointment, contact Dr. Katchie Cartwright, 210-486-4828, and see the Palmetto Arts calendar. Once accepted in the program, you'll learn some of the most important jazz standards. Here, listed in order of popularity, are the top 10 tunes to know for auditions and jam sessions among participating members of the International Association of Schools of Jazz (The Hague, 2010), with standard keys for women singers indicated along with standard instrumental keys. Links are to downloadable PDFs of sheet-music (and some videos). Download the entire packet of Top 10 tunes, each in 2 keys. Potential A-JAM students should begin working on these now! Memorize a couple of them for your audition. Listen to authoritative versions of the pieces performed by the tunes' originators. "I Got Rhythm" changes (various tunes and keys, including original); singer key for original = C (inst = mainly Bb). There are scads of jazz tunes based on "Rhythm changes" We call these contrafacts. 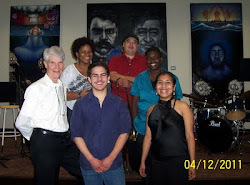 Intercollegiate, intercultural, and intergenerational, the A-JAM mentorship program is open to music majors in any of San Antonio's five Alamo Colleges. Auditions are held each November. 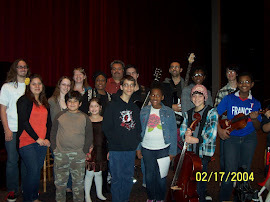 During the spring semester, A-JAM honorees perform locally and are coached by regional professionals and visiting artists. One lucky student is invited to the unique annual international jazz meeting of the International Association of Schools of jazz (IASJ) in June, where s/he performs with fellow students from all over the world for one intensive week. The meetings are held at a different host school each year. 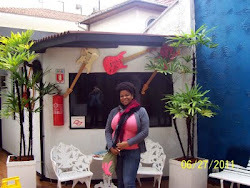 Singer Jeané Gaines, Northwest Vista College, participated in the IASJ meeting in São Paulo, Brazil in 2011 as the first A-JAM grand honor awardee. You could be next! 2019 A-JAM Student Honoree Announced! 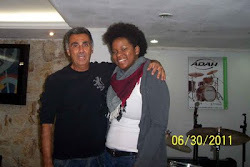 An ethnomusicologist and musician, I have a doctorate in music from The City University of New York. 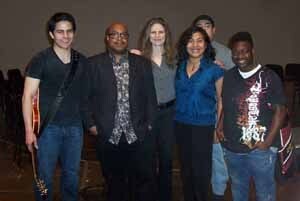 I relocated to San Antonio in 2006 to accept a position at Northwest Vista College, where I serve as a professor of music. I perform regionally, with my own ensembles and as a sideman. Born in New York City, I have been a New Yorker for much of my adult life, although my idyllic summers and many winters of my youth were spent in the deep woods of Minisink Hills, Pennsylvania. My first instrument is flute, with additional professional experience with voice, percussion, and keyboards. My musical tastes have always been broad, encompassing classical and popular traditions of my own culture and idioms from abroad. 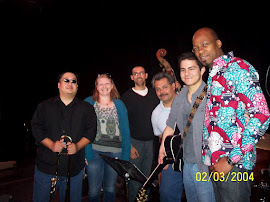 Le Monde Caché, my San Antonio-based world music project, is a jazz-based mix of idioms from the Americas, Europe, the Caribbean, Africa, and elsewhere. 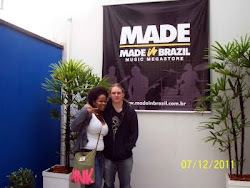 One of my favorite current projects involves playing Brazilian music of various genres, including “musica brasileira,” MPB, and Brazilian jazz. 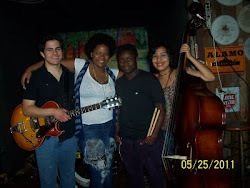 My Brazilian trio consists of guitar, percussion and flute. We expand to include accordion and bass where possible.